A horse sanctuary owner left animals emaciated and with untreated injuries. Roberta Cleere, 39, became “overwhelmed” when she ran the Second Chance Horse Rescue Centre from her home in St Day, Cornwall. She was found guilty of four counts of animal cruelty and sentenced to 100 hours of unpaid work, and ordered to pay £1,250 in costs. Truro Magistrates’ ordered the seizure of any horses she owns and disqualified her from keeping horses for 10 years. 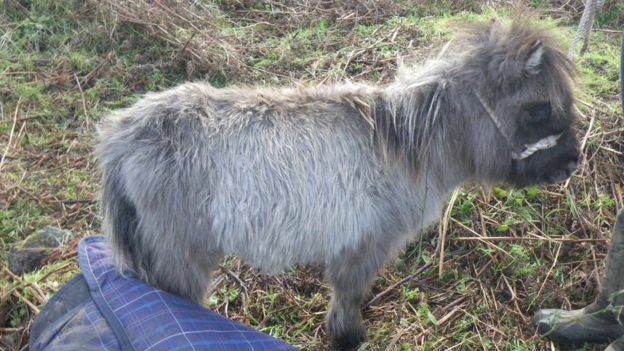 Kevin Withey, prosecuting on behalf of the RSPCA, said there had been “medium to long-term neglect”. He said the emaciation witnessed by RSPCA staff must have had a “prolonged cause”. Rob Ecclestone, defending, said Cleere had always been “devoted to horses”. He said it was her love of animals which led to her setting up the Second Chance Horse Rescue Centre. The sanctuary began in 2003 and Cleere had 35-40 horses when the RSPCA intervened in December 2015. Speaking outside court, RSPCA inspector Jon Phipps said Cleere had repeatedly ignored advice and warnings.